You don’t need a ticket to the White House Easter Egg Roll to win one of its prized souvenir eggs. You just need some knowledge about the country’s national parks. The National Park Foundation is holding what it’s calling its "Egg-cellent Egg-venture." Each day, a different picture of the Easter eggs will be posted on the Foundation’s Facebook page. The eggs will be hidden in a national park. All you have to do is identify which park it is, and you’ll be entered for a drawing to win a four pack of the souvenir eggs. The contest runs through next Friday. There are also plenty of Easter activities for your kids, if you want to get out from behind the computer and enjoy the outdoors. 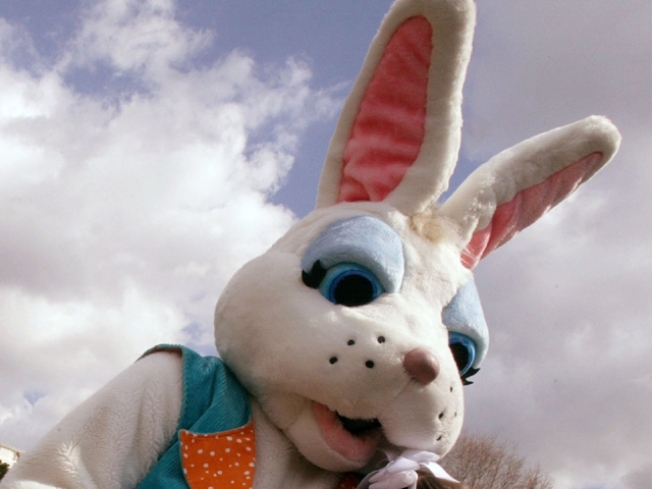 Butler’s Orchard in Germantown, Md., is hosting its 15th Annual Bunnyland this weekend and next. For $8, your kids can enjoy a hayride down the Bunny Trail and hunt for eggs. When that sugar rush kicks in, they can get all of their energy out playing in the hayromp and circling a track on a farm tractor. Your kids can also see real life chicks and bunnies. You’ll have to pay $6 to be part of the fun. The event runs today and tomorrow. You can also go next Thursday through Monday (with the exception of Easter Sunday), as well as the following weekend.